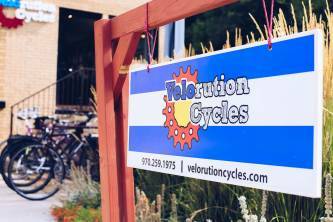 Whether you’re especially hard on your bike, or just need a tune up, Velorution offers expert advice and repairs to get you back on path in no time. If we don’t have the parts in-stock, we’ll order exactly what you need and schedule you for service as soon as it’s in. We service all bikes and brands, so don’t hesitate to call or stop by to make an appointment. Taking a unique approach to the bike shop model, we provide a wide variety of Salsa Cycles bikes for everything from long-distance touring, mountain biking, and around-town commuting for rental and purchase. You can take everything on the floor out on rental, and if you love it you can buy it. Floor bikes are priced based on rental history, so you can walk out with a killer deal without waiting ‘til end of season. As we continue to grow, we also look to expand the gear, tools, and brands that we supply to help fortify our already substantial selection. 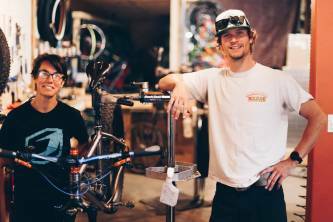 Bikepacking has taken off in recent years, and Velorution prides itself in being Durango’s only destination for bikepacking gear. We offer a selection that tops among the largest in the nation. Our premiere Bedrock Bags are revered as some of the most lightweight, durable, and good looking bikepacking bags on the market, meaning you’ll hit your next adventure with confidence and style. Come in today to see our full selection, or check out our online shop. 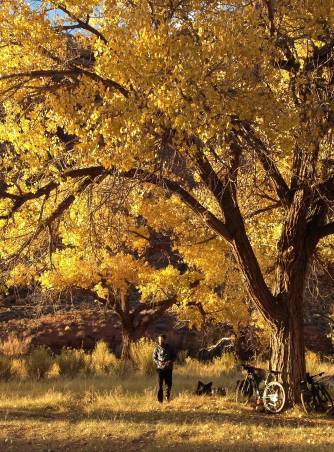 Velorution is a trailhead hot spot, located right at the foot of the epic and expansive Horse Gulch trail system. Recognizing this location as the perfect home base for many cyclists around Durango, we’re working to foster community that revolves around all things pedalled. As this community takes form, we’d like to invite cyclists from all facets of the sport and all skill levels to come together. In line with this mission, keep an eye out for emerging events throughout the year. Take part in up-and-coming events like organized trail parties, high country rides, group rides, discussions with experts, and more.